Bookish News / Yay Consumerism! 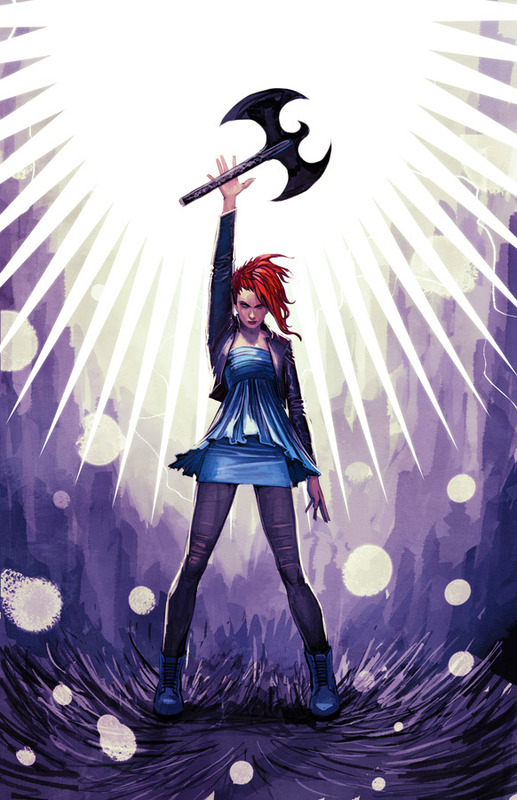 We fell in love with Kelly Thompson’s girl-powered superhero versus supervillain novel The Girl Who Would Be King about two girls — think a Buffy and a Faith type — fighting for supremacy against one another (so much so that it landed on Cassie-la’s top books read in 2013 list). 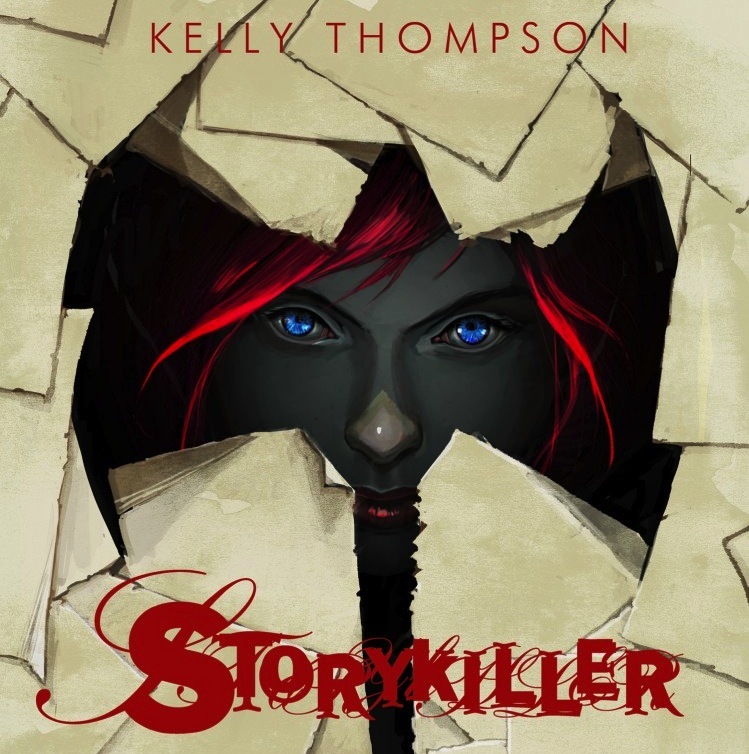 And now Thompson has another book entitled Storykiller that needs help getting funded. SHUT UP AND TAKE OUR MONEY! Again. Totally worth it. Yet again Thompson has written a novel with an intriguing concept but once more the publishing companies are torn for how to market it, hence her return to Kickstarter. As with The Girl Who Would Be King, comic book author Stephanie Hans has illustrated the cover and if enough money is raised there will be a deluxe hardcover edition featuring 32 pages of illustrations from other notable illustrators in the comic book industry. Check out the book summary below to see if this up your alley and then go and read the first seven chapters over on Thompson’s blog. A recipient of her first novel, I can say it is well worth the money to shell out for all the stops. If you’re interested you can donate HERE. Give money, get an awesome book? What a novel concept. Pun intended. In fact, all the monsters are real, as well as the heroes and everything in between because all Fiction is real and exists in a dimension called Story. However, plenty of them hang out in the Mortal world, living both innocent and nefarious lives. This might not mean much to the average Mortal unaware of the Fictional characters living among them, but for The Last Scion–the only Mortal that can kill those Fictional characters–things are about to become very complicated. Tessa Battle is that Mortal. Upon her return to Lore, Oregon after years bouncing around boarding schools in Europe, Tessa had her sights set on simple things like shoe shopping, finding a hot boyfriend, and eating as many pancakes as humanely possible. However, the Last Scion mantle Tessa just got saddled with is not making any of that easy, and as Tessa and her new friends are about to learn, Story is long from done with her, no matter how much she’d like to deny her destiny. And maybe, just maybe, it’s a GOOD thing that behind her back, Stories call her THE STORYKILLER. Intrigued? Don’t forget to donate! Did we mention that you should donate? Because you should.